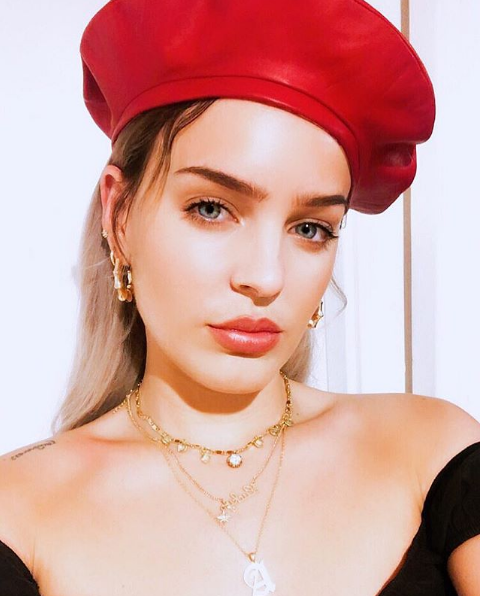 Clean Bandit’s Rockabye singer Anne-Marie Rose Nicholson is professionally known as Anne-Marie. Her UK Single Charts includes Rumour Mill, Do It Right, Alarm, Rockabye, and Caio Adios. She has been nominated for four awards at 2019, Brit Awards, including Best British Female Solo Artist. In 2019, she able to grabbed Global Awards and Remarkable Women Awards 2019. When did Anne Marie become famous? An English singer and songwriter who also the winner of various Shotokan Karate Championships. Singing the song Do it Right which reached 90 on the UK singles chart and was certified ‘Gold’ by the Australian Recording Industry Association. Where is Anne Marie singer from? Anne Marie was born and raised in East Tilbury, Essex, England. Her birth name is Annie-Marie Rose Nicholson and the birth sign is Aries. She was born to British parents named Wayne Nicholson and Susan J. "Sue" Thompson. Her mom was from Essex, whereas her father was from Ireland. Talking about her nationality, Marie is a British and belongs to the mixed ethnicity. During her teenage days, she attended Palmer's College. As a child, Anne-Marie appeared in two productions of West End theaters. Furthermore, at the age of 12, she appeared in Whistle Down the Wind along with young Jessie J. Her professional career as a singer and songwriter began in 2013, as she recorded a solo demo for Rocket Records, Summer Girl. Further, she guested on track by Magnetic Man, through which she got the attention of Rudimental, an English drum & bass band and soon Anne-Marie joined the band replacing the vocalist of that band. Marie spent two years touring alongside them, during which she was featured on four tracks on their album We the Generation. In 2015, she debuted as a single lead artist with the song Karate. The same year, she released her other singles including Gemini, Boy, and Do It Right. In the following year, she came out with her single Alarm, which grabbed the prestigious certificates like BPI: Platinium, ARIA: 2x Platinium, FIMI: Gold, and MC: Gold. And recently, Marie has released Ciao Adios and Either Way. Aside from her singles, Clean Bandit released their songs Rockabye featuring Sean Paul and Anne-Marie which shuddered the world. The song received a platinum certification with a sales of more than 1,000,000 copies. In 2017, Nick Jonas featured her and Mike Posner in the making of his song, Remember I Told You. Her next track was her collaboration with Snakehips, titled "Either Way". On 22 September 2017, she released the single "Heavy", followed by "Then". Is Anne Marie Dating Someone? Moving into her personal life, Anne-Marie is a private person. There is no proper information regarding her boyfriend and affairs. However, in an interview, she said: “I can’t say because he is quite well known”. This statement gives a hint that she is in a relationship. In her interview, she said, "He's in music. I can't tell you. I honestly can't." According to her interview, it seems as if she fell in love with another musician as she ceased to say his name because of his fame. What is Anne Marie net worth? Marie earns an enormous amount of money through her successful career as a singer and songwriter. As of 2019, she has an estimated net worth of $600 thousand. However, her annual income and salary are still under review. The English singer is quite active on her social media platforms like Facebook, Twitter, and Instagram. She has over 2 million followers on her Instagram while on Twitter, she has over 396K. Observing her body statistics, she stands a height of 5 feet 9 inches and weighs 63 kilos. Similarly, she has a pair of blue eyes and ice blonde hair color. She used to wear 38C (US) bra size and 9 (US) sizes of shoe. Furthermore, her body measures 33-25-38 inches. She is a three-time world champion in karate. In 2019, she won two awards named Global Awards and Remarkable Women Awards 2019. She likes clothes in checks and tartan ornaments.